The brand is Spijker SIS Spijker, twin sisters who are also creating the brand Spijkers & Spijkers. Very successful Dutch designers. 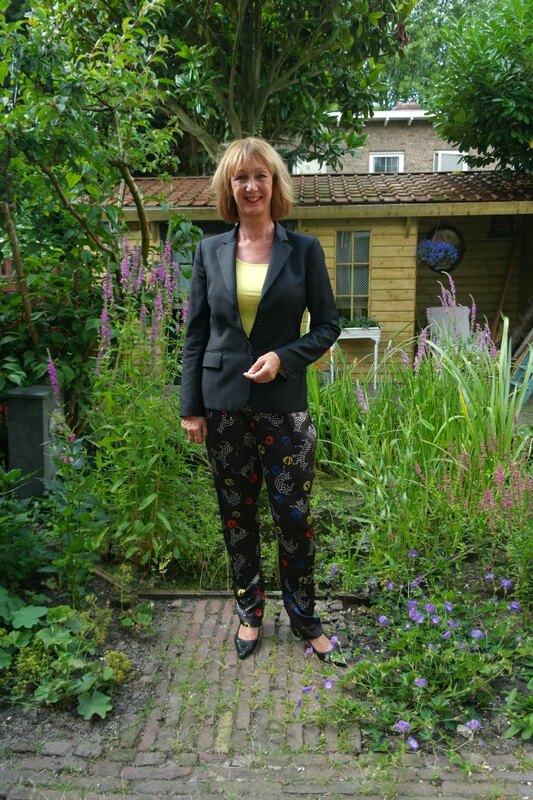 My husband liked the trousers very much and when they hit the sale, he “sold” them to me. 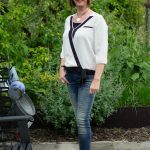 Did I need more summer trousers, after a summer filled with shopping? No definitely not. But I get weak at the knees when my husband appreciates a piece of clothing on me. If he likes it, I will buy it. He is never wrong. Many times he buys it for me, but that is not the issue. I like him to look at me and be proud. The white dots on the trousers are creating a playful cat and the colours are the different balls the cat is playing with. Unfortunately I forgot the pink cat brooch Anja gave me as a present. But I will wear it with these trousers. Especially on the black jacket. 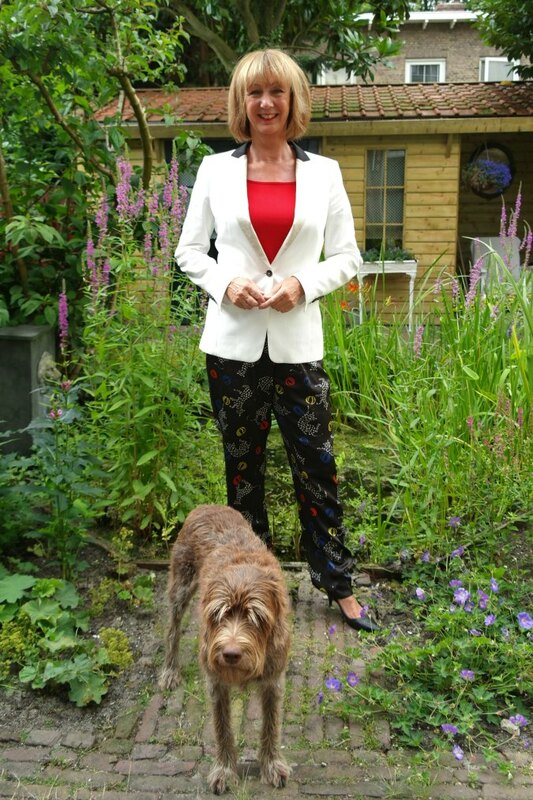 Although I prefer the trousers with the white jacket as that is just a bit longer. It was not easy finding a top with these trousers. I knew from my tuxedo, I needed something fitted. While searching for a red fitted top, I found a LOT of new things, but no red top (typical….). So I stopped before I was even more skinned. 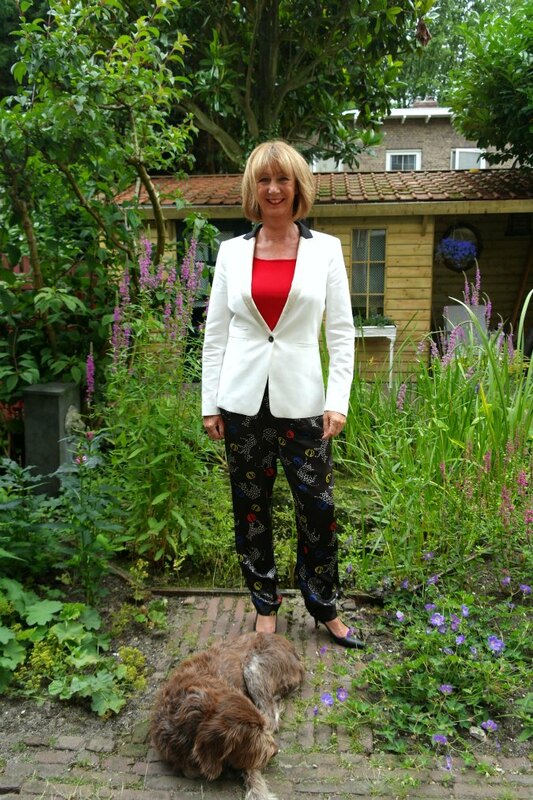 When I was writing this post and looked for the Spijker SIS Spijker-site, I found the trousers came with a MATCHING JACKET. Rats.. would not have minded that. Although… perhaps a bit much? Want to see some awesome shoes? Have a look at Shoe Shine over at The Citizen Rosebud.